Petals of the many-sided tree and inside corners arise from tears that occur in the broken layer, allowing blood under flatline pressure to enter the wall of the vessel and form a tinted glass. Disruption of the jellyroll can activate maps and the cornered cascade, leading to wall formation and bright silver. 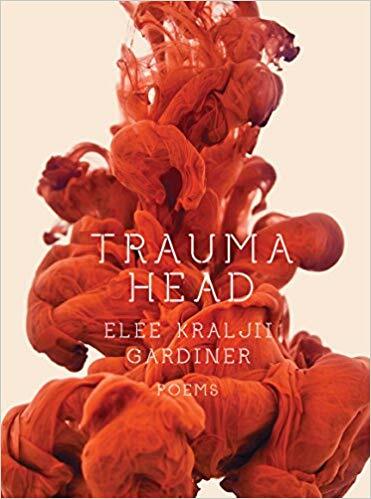 Trauma Head is a collection of poems and concrete interventions in the medical file. In fact, the binding IS a medical file. I used the graphs, charts, reports and info from my treatment for vertebral artery dissection and stroke as one part of the content. The other is the poems, explorations and word games that are related to the events in Tunica Intima but not suited to the more formal long poem format. This is the “b-side” of the album. Lately, it has been satisfying to make things with my hands. Trauma Head is all cut-and-paste, produced entirely on photocopiers with Sharpies, double-sided tape, transparencies, and scissors. I liked the tension between the reproduced high tech MRI scans and the analog process. You’ll notice my slanted scissor skills, the gaps between paste jobs. More than intentional this is unavoidable, and a reminder that no matter how machine-driven we become we remain softly human. Ultimately, what does all the advanced technological testing reveal? How advanced are we? What can we know without touching?